Thanks to our continued love affair with Asian food, Avanti has come to the rescue with a set of pristine bamboo chopsticks to co ordinate with their collection of bamboo steamers and skewers. 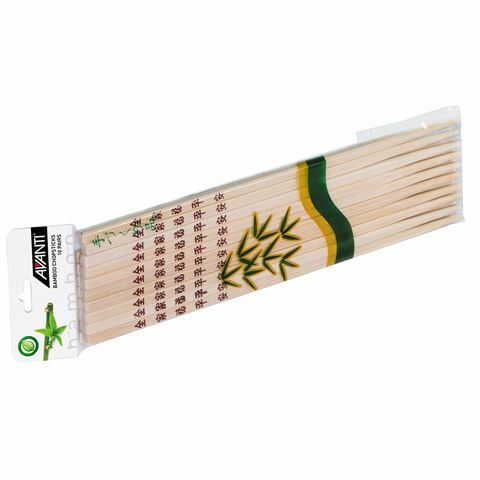 The chopsticks are made from very smooth bamboo and designed to be easy-to-grip for even those who are just starting out on an Asian culinary journey. Easy-to-grip because they're smooth rather than slippery.. Presented in a pack of 10.